If Finland wanted to test universal basic income, this would be best done using a field experiment. A field experiment applies a scientific method to the experimental examination of an intervention in a practical setting. The key would be to randomly select participants from all over Finland. The following are the findings of Tänk’s basic income report (in Finnish only). 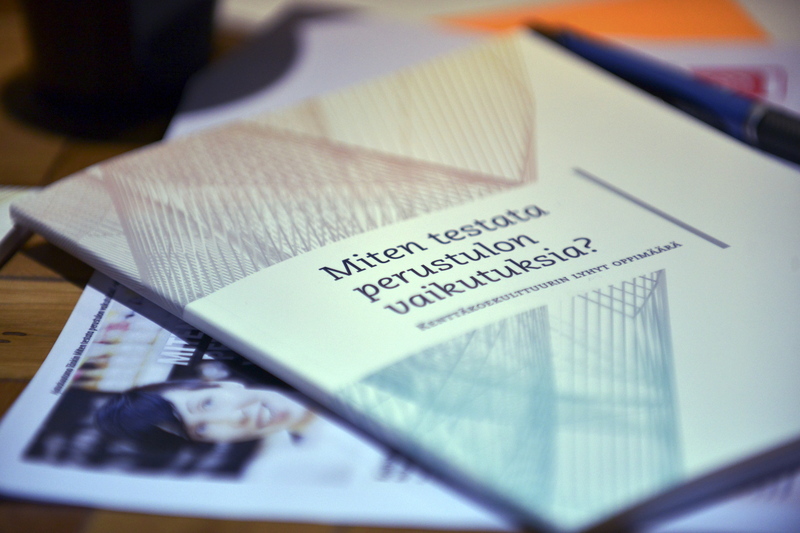 The report was funded by the Finnish Pension Alliance Tela and Sitra. According to the report, a field experiment would be the best way of examining whether the introduction of a basic income would reduce or increase employment among low-income workers. Tänk has used experimental economics to examine the basic income model. “The effects of a holistic social security reform, such as the basic income, cannot be predicted. A field experiment would provide evidence of whether the controversial basic income model could be used to reshape the social security system,” says Senior Researcher Ohto Kanninen, one of the authors of the report. According to the report, a basic income field experiment would be subject to several constitutional, economic, political and experimental limitations. A key limitation is that the constitution guarantees equal treatment of all citizens. “Social field experiments would momentarily put citizens in an unequal position. Implementing the basic income field experiment would require determining whether momentary inequality of this kind was acceptable,” says Mikko Forss, Director of Research at Tänk and a co-author of the report. According to the basic income report, the most viable model for Finland would be negative income tax. Negative income tax is a progressive income tax system in which income subsidies based on earned income are provided to individuals whose income falls below a certain level. This model would replace primary social benefits, apart from social assistance and child benefits, up to a certain level. According to the report, the minimum duration of the field experiment should be two years and the minimum number of participants should be 8,000 individuals between the ages of 18 and 62. The participants would be selected through a draw. The participants’ tax system should be changed to a monthly system to enable the use of monthly income data. The report proposes using several levels of guaranteed income, between 400 and 700 euros, in the experiment. “The key is to use a broad set of metrics to monitor the effects; the effects on the labour market participation of the individuals involved, as well as their perceived well-being and control over their own lives, should be measured,” says Kanninen. Finnish values are strongly grounded in the country’s work ethic. “Work is not only a source of livelihood; it is also important to defining who we are as individuals,” says Suvi-Anne Siimes, Managing Director of Tela. Sitra’s interest in the basic income model stems from the possibility of ensuring that work pays off for the worker; the appropriate compensation should be paid for each hour worked. Apart from having a huge impact on individual well-being, this is also an economic necessity. “Finland runs a huge deficit in terms of its human capital,” says Sitra’s President Mikko Kosonen. According to Sitra, a field experiment is the best way of moving forward in testing the controversial basic income model in practice. “Our unpredictable world is challenging our social policy operating models. We cannot engage in major structural change if we begin building before we know whether each piece of the puzzle works,” Kosonen concludes.